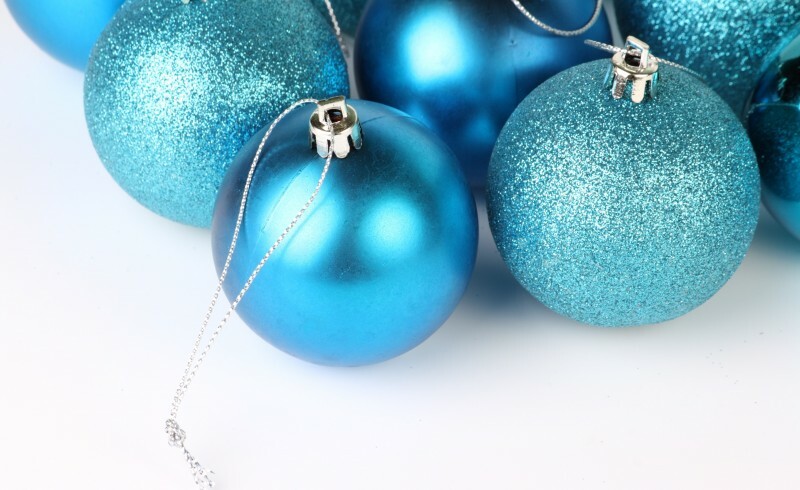 Whether you’re feeling festive or not, there’s no denying the multitude of opportunities available to affiliate marketers looking to increase their performance and maximise profits. Motivated traffic, however, typically comes at a cost – especially at a time of year when competitive bidding is at an all time high. In today’s Monetise Monday, Clive explains how you can boost your profits during the Christmas period without having to spend more on paid traffic, whilst cultivating a valuable retargeting list that will serve you well into the new year. 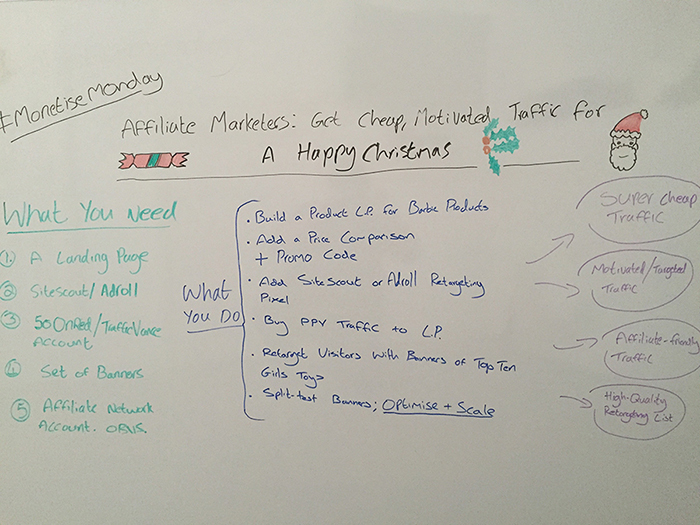 For reference, here’s a still of this week’s Monetise Monday whiteboard. First you’re going to need to build a fully-optimised landing page for your promotion. This means ensuring your copy and imagery align with any keywords/product descriptions (we used “Barbie” as a common example for this time of year) and that your CTA is easily accessible. In order to keep visitors on your page, include elements that will retain their interest and eliminate any need for them to leave. Promo codes and price comparison lists will greatly reduce your bounce rate. In order to start to build a retargeting list, you need to place your tracking code (acquired through SiteScout/AdRoll) into your landing page. This will capture visitor data and allow you to retarget accordingly later on. Now that you’ve got everything in place, it’s time to serve your landing page with targeted traffic. This will mean bidding on keywords relevant to your promotion. For instance, our example of a “Barbie” promotion would require us bidding on keywords aligning with that product. This ensures your landing page receives a greater volume of motivated individuals and increases your probability of conversion. This also means you’re building a relevant, more motivated retargeting list for future use. With visitor data received and tracked, you can later materket to known relevant customers, using display ads promoting similar products (in our example it would be top ten girls toys) still relevant to their original keyword search – segmenting visitor motivation according to any action taken and split-testing your ad banners to reduce spend and maximise ROI. And there you have it, motivated traffic for less this Christmas. As well as a rich, proven motivated retargeting list to use in the new year.